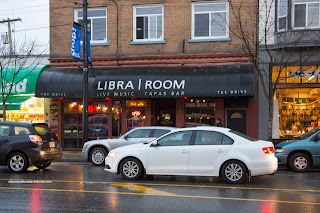 Once upon a time, I bought a Groupon for the Libra Room offering up 2 appies and 4 entrees for $40.00. Good deal, especially since it could fit into our late night eating schedule after Friday hockey. Well, to keep a long story short, we never made it out to the Libra Room in the allotted time, so I was stuck with a $40.00 credit. That was 3 years ago... So when Viv and I set out to use up the monetary value of the Groupon, we were notified that they had changed ownership and it was no longer valid. #$)*#)$*#)$*# Didn't matter though, we still decided to eat there. 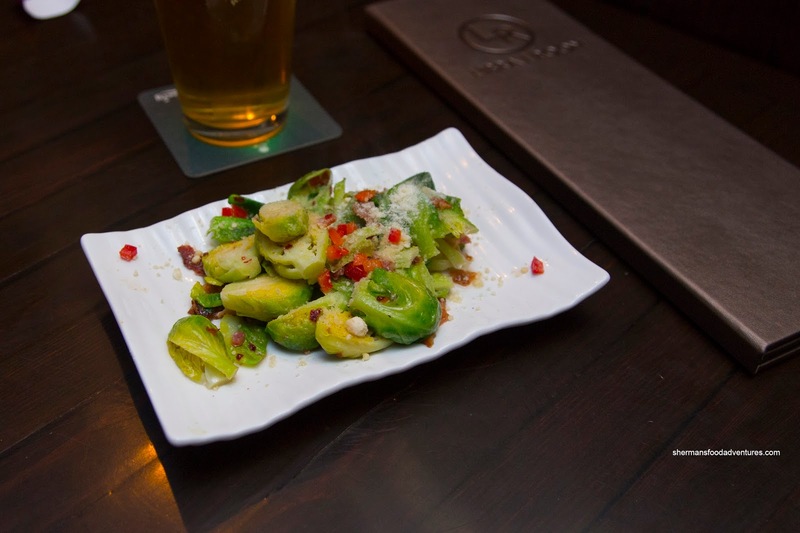 These days, it's pretty standard to see deep-fried brussel sprouts dressed in balsamic, parm and other tasty seasonings. However, when the "Fried" Brussel Sprouts hit the table, we were pretty surprised to see they were stir-fried rather than deep-fried. As much as they looked bland, they were far from it. With just a quick kiss of heat (cooking), the sprouts were tender and still crunchy. There was enough salt from the bacon, parm and spice from the chili flakes to create some impactful flavours. 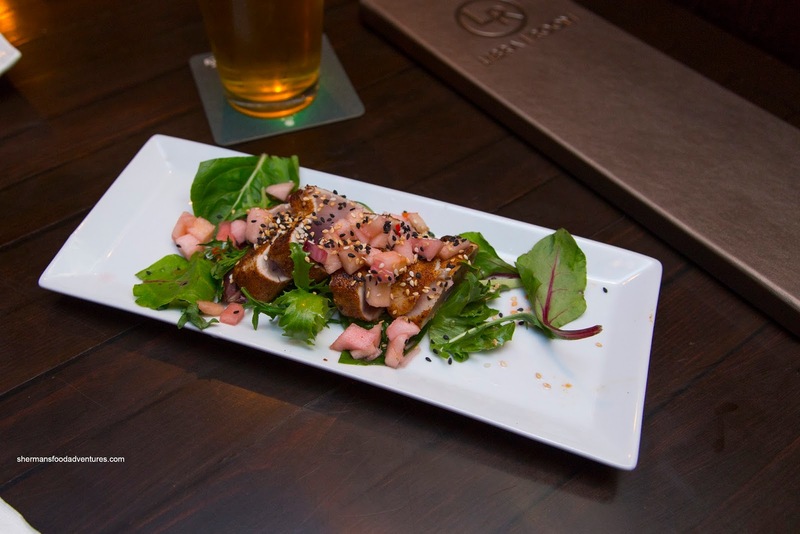 Next, we had the Blackened Tuna which was seared evenly on the outside. It wasn't buttery per se, but it was indeed rare and meaty. The coriander crust was not super impactful, but the apples did add some crunch and sweetness. 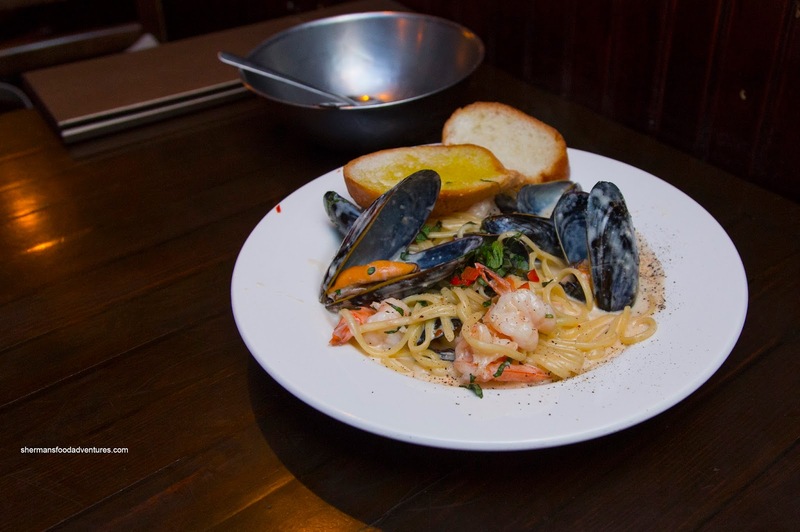 We then went for the seafood in the form of the Seafood Linguine blessed with a plethora of large plump mussels and cold-water shrimp. The linguine was a touch past al dente, but hardly soft. The thin cream sauce was aggressively seasoned where it added even more impact to the already properly salted pasta. There was a bit of brininess from the mussels which added a taste of the sea. 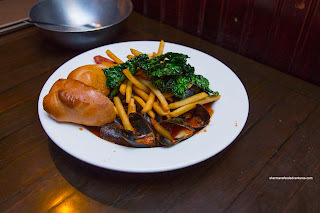 We continued with a whole order of Mussels in a Portuguese broth with chorizo sausage, fried kale, white beans and marinara. Although this was rather zesty, the whole thing was far too salty which meant it overwhelmed any other seasonings. 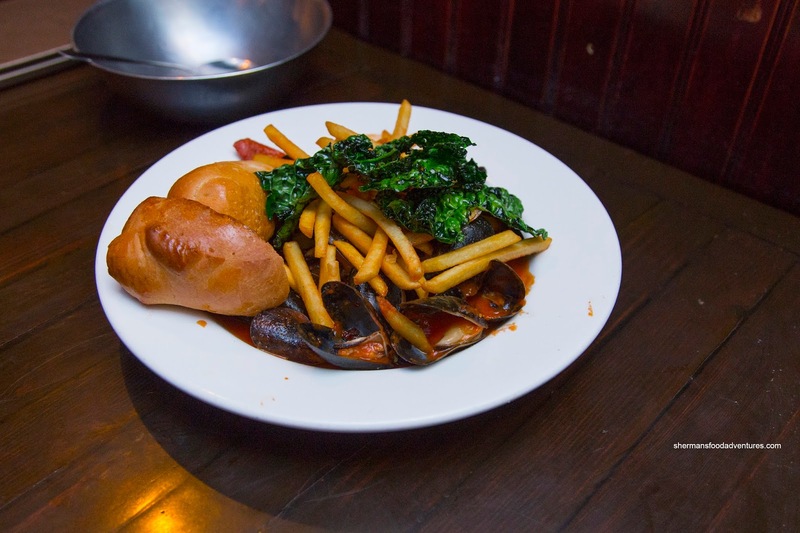 Mussels were big and plump though, like in the pasta. 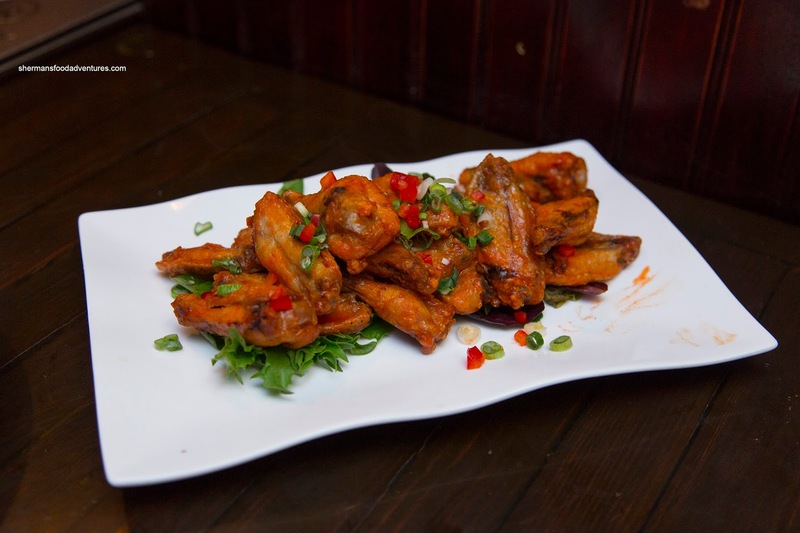 Our last dish was the Hot Wings that were lightly dressed in hot sauce. Hence, they weren't really all that spicy. We found the meat to be tender but hardly juicy while the skin could've been rendered down more. Despite this and a few other minor issues, we felt the food at the Libra room was more-than-acceptable. Given that there is live music and open late for those night owls.